The key here lies in my attitude towards my own idea of a perfect mom. When I recognize the disconnect between what is ideal and what is real for me without beating myself up, I am able to be content with my own good enough parenting. This does not mean that I let myself off the hook or that I don’t have high standards in my parenting, it simply means that I am being authentic to my own parenting style. I know that I will always be working on my relationship with my kids, working to be more present and more positive and accepting. But when I approach that work with self-compassion and self-knowledge I avoid the trap of beating myself up for all the ways that I fall short as a parent. D.W. Winnicott, the noted British psychoanalyst, developed the idea of the “good enough mother” after World War Two. He also called this mother the “ordinary good mother” or the “devoted mother.” The idea is that the ways that we fail our children are myriad but that when we provide an ample base of love and support, our children will continue to thrive. In fact, if we met every single need of our children at every single moment, they would have little resilience or grit with which to approach the world at large. It is through these daily small failings—a baby who cries for minutes before being soothed, a toddler who falls and scrapes his knee, an older child whose parent loses her temper and speaks harshly at him—that a child learns that he is strong and capable. What is also key here is that in these examples, the child is soothed by the parent eventually or the parent does return and repair the damage done by harsh words. 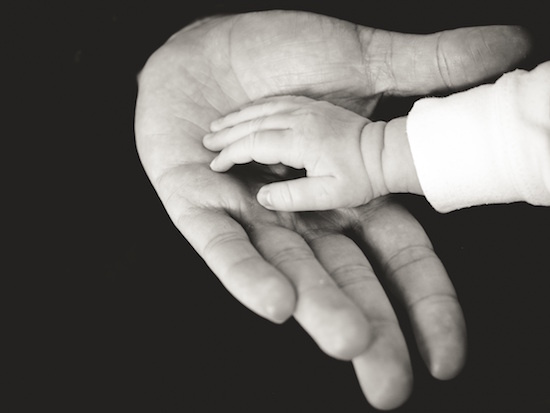 Thus, the child learns that he can overcome hard moments and he also learns that he can accept love and nurturance from a parent—this is the stuff of “ordinary, good” parenting. In fact, I would suggest that a child whose every need was met by his parent would grow up to be someone we would never want to spend time with as an adult. We must learn to trust ourselves and our independence, while still in the warm embrace of a loving parent. Some parents never received this kind of parenting themselves and thus face the hard work of trying to parent without a map. These parents often judge themselves harshly and hold themselves up to incredibly high standards. To these parents I would suggest firmly that they are not their parents. Where we came from is important, but each day we get to move forward in new relationships with our children. Through self-awareness, that challenging job of “doing our own work,” we can heal our pasts through creating a positive, though imperfect, childhood for our own children. There is so much hope in this perspective, but it is only possible when we are aware of our own expectations and able to be realistic about parenting’s challenges. Recently, a parent with whom I was working said that she hadn’t expected parenting to be so messy. I smiled in recognition. I also strongly believe that there is no way for it not to be messy. Parenting at its heart is about relationship and relationships are not often neat and tidy. Despite, or perhaps even because of this, they are places for enormous personal growth and self-revelation. When we embrace our “good enough” parent we make space for our own authenticity to shine through.